I remember practicing once with Sri Dharma when I first went to check out his classes about six years ago. It was a Master Class, but there were all levels of students in the room. Some of the students were very advanced –far more advanced than I. Some of the students were quite new and finding the class really challenging. Sri Dharma loves to hold twisting extended side angle pose for a long time. We were holding this pose for a really long time at this class and there was a woman in the class who was having a really hard time maintaining her balance. She kept falling over and she was getting really upset and frustrated. She looked like she was on the verge of crying. You could feel that she was becoming very overwhelmed. My first reaction was to judge her. I’m embarrassed to share that with you. That was my first reaction, though. I remember thinking that she didn’t have any business coming to a Master Class when she was clearly a beginner. I was being such a selfish &$%-hole and I didn’t even realize it at the time. 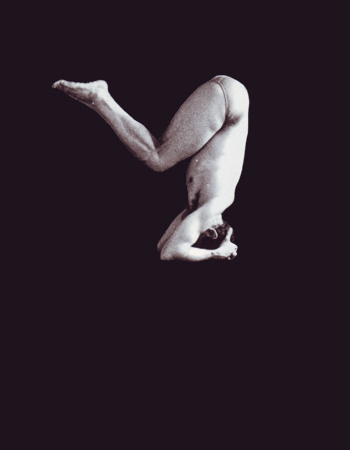 Something amazing happened after that, that made me feel ashamed and made me re-think what I was doing on my yoga mat. The regular Sri Dharma students around the woman started to encourage her and offer kind words. They let go of any focus on “their practice” and they focused on her and gave her their energy and attention. One of the students, in front of her, who had a very advanced asana practice, came out of his pose and walked over to her and helped her to find her balance. I heard him say, “It’s OK. This is a hard pose. You’re doing great.” Several students offered her their smiles and encouraging gestures. It was really beautiful to witness. I was blown away by the community and how everyone reached out to her. It almost made me cry. I remember leaving the class and thinking about this moment for a long time. There was so much competition in the classes I was taking back in Los Angeles, so much ego. There was so much competition in my own practice, too, so much ego. This pursuit of asana, pursuing these fancy trick poses and advanced transitions. What was the point? I remember thinking after this class that these things aren’t yoga. Somehow, somewhere along the way, we’ve gotten off track; we’ve missed the point. What happened in Sri Dharma’s Master class that day was yoga. Sri Dharma always teaches that the number one practice is to be respectful and to be kind to all living beings. I’ve made many trips to New York now in the past six years and I’ve completed 800 hours of training with Sri Dharma. I’ve met so many incredible people through this community. Sure, there are some really advanced asana practitioners. Many of the people are way more advanced than me. Sri Dharma is a really advanced asana practitioner. The thing that I love so much about the Dharma community is that Sri Dharma teaches that the asana doesn’t really matter. It doesn’t mean anything if you aren’t moving through the world with kindness and love. 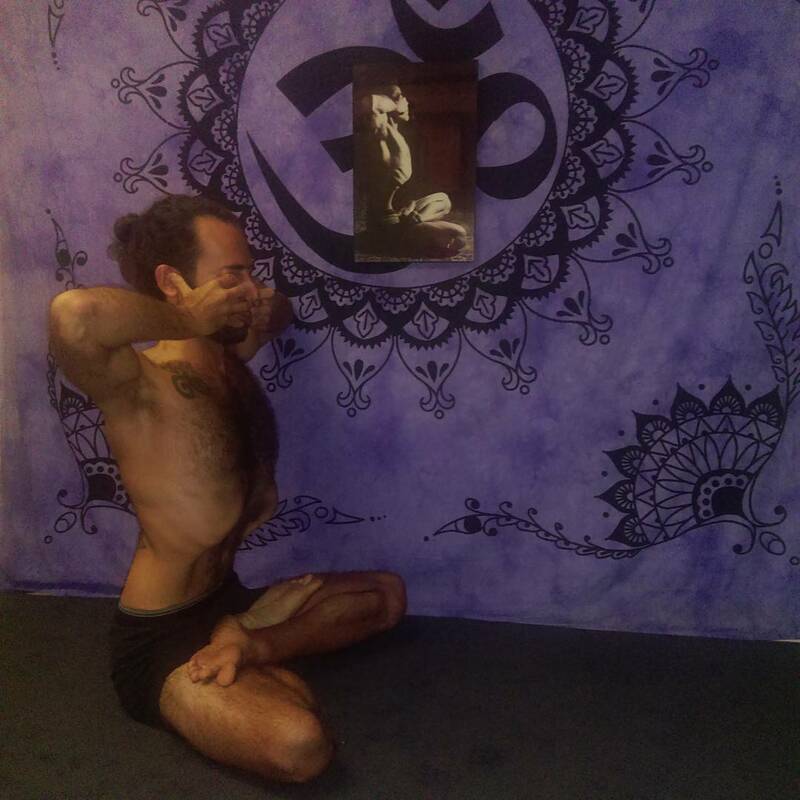 The practice is so much more than just being able to do a fancy pose. I was talking about Sri Dharma the other day, about the space that he creates in his classes. No competition in the room. This really wonderful community of students supporting each other, growing as a community, practicing as a community. One of my goals over the past six years has been to create this kind of space in my classes and encourage this same idea of community. A group of students coming together, connecting, supporting each other, growing, helping each other along the way. Last week one of my students in one of our awesome communities (Westlake Village!!) was having a challenging time in a pretty tough class. This student sometimes leaves class when it gets too tough for her. I’ve encouraged her to stay and just come down and rest, to not give up on herself, but this is a habit that’s been hard for her to break. Sometimes when the going gets tough, she heads for the door. She stopped and the whole class looked at her. There was a long moment where we all waited to see what she was going to do. Then something amazing happened. Everyone started to encourage her to stay. They started to smile and tell her it was OK. That she would be fine. People said things like, “You can do it!” and “Stay, we’ll do it with you!” There was so much love in the room. It overwhelmed her and she smiled and went back to her mat to stick it out and finish the class. This was one of the most special moments for me ever as a teacher. I watched this really strong group of students, mostly regulars, who’ve been coming to class for a while now together practicing yoga. I watched these guys, not just doing asana, but practicing yoga and I was so proud of them as a teacher. After the class, I talked to my student who had given up on herself and asked her if she felt good that she had stayed for the whole class and she said she had never felt so much love from a group of people in a class before. Powerful stuff. Be kind and respectful to others. Love. Open your heart. Help someone who needs help. These are the greatest things that we can teach to our students. Thank you, Sri Dharma, for teaching me about what really matters. These are the great moments we get to experience as teachers and why I love my job so much! Thank you for letting me hold the space and passing on the teaching of my teachers. 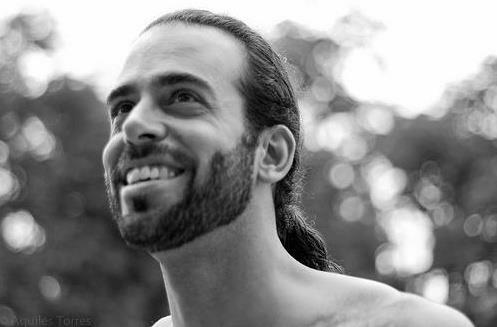 Garth Hewitt is a 500hr E-RYT, Teacher Trainer, Yoga Therapist, Certified Yogaworks Teacher, Certified Dharma Yoga Teacher, and has led classes, workshops, retreats and teacher trainings in Los Angeles and around the world. Garth taught for several years at the original Yogaworks in Santa Monica and at Exhale – The Center for Sacred Movement in Venice. He led the first Pure Yoga Teacher Training, in Los Angeles, at Equinox, with Ashley Turner. He has been featured in and contributes regularly to: Yoga Journal, Men’s Health Magazine, Mantra Magazine, Yoganonymous and LA Yoga. He has spent time in Mysore, India, studying Ashtanga Yoga, with the Sri K. Patthabi Jois family, practicing with Saraswati Jois. Garth teaches integrated yoga classes, focusing on; alignment, breath and concentration. He also teaches: pranayama, meditation, yoga nidra and sees students privately for yoga therapy sessions. We are a society obsessed with “fulfilling our dreams.” However, those dreams are usually ego based—ones of fame, fortune and “having it all.” Yet many of these dreams cause great suffering when they are not achieved—feelings of failure, FOMO and not being good enough. This then impedes our ability to move forward in our lives and can result in depression and anxiety. What if instead of fulfilling our dreams, we grew up excited and present with the idea of fulfilling our dharma? Dharma is defined as duty, but it is not that simple to fully digest. Dharma is what we were put on this earth to do for our soul’s evolution, to reach self-actualization, and perhaps most importantly to serve the rest of our community and Lord Shiva. Beloved Sri Dharma will sometimes (lovingly and joyfully) say during class, “I don’t wanna be here! I wanna go home.” But he understands his Dharma, and so he shows up and practices with us, teaches us, stays with us. He left Brazil to follow Yogi Gupta, left India to come to NYC and fulfill his purpose handed to him by Shiva and his Guru, to teach and spread true yoga to as many people as possible. Sri Dharma has been in the army and worked as a janitor, never feeling any job was beneath him, always willing to work hard, shed karmas, and offer all of himself to something much greater. He opened one of the first yoga schools in NYC, and at his first class he watched as the one person who showed up left before he could even finish the Om. Regardless, with ego non-existent and no attachment to the outcome of his labor, he kept on going. He understood it was not about “him,” but rather that this was his offering to the Lord and the purpose of his soul. Now 76 years old, he has taught all over the world and is an endless source of compassion and giving. He is tired, but he knows he has a duty to fulfill (to such an extent his Guru gave him the name Dharma!) and he keeps going. I have finally come to understand that “Dharma” and our dreams are not to be confused, and that a person must be fully established in a release of ego in order to truly hear their Dharma. I once thought my dharma was to be a world famous yoga teacher, a household name who was being asked to teach at Wanderlust and Bhakti Fest, leading Gwyneth Paltrow through practice. As I sat in the garden this summer watching the bees tend to their work day after day I finally understood “dharma” and releasing the fruit of our actions. The bees show up to the flowers every day, busily working and ego-free, with no need for accolades, awards, or notoriety. They show up to the flowers because they must, because it is their dharma to the rest of the community—to nature, to us. They fulfill their role joyfully, dutifully and with great discipline. How much the bees have taught me about “dharma”. I now understand in order to teach yoga in the way it is meant to be taught I must simply get a full time job like everyone else. In that way I can serve without a business mind, without the need to prove myself, without attachment to the workshops and the classes. But rather with the freedom and the joy of understanding that all of my work is actually done by Shiva anyway, and that all I do when I teach yoga and show up to my job are my offerings back to the cosmic consciousness. All work is spiritual and all work is yoga when we understand all work is an offering. Meditate, come to know yourself and the supreme teacher within, and be freed from the ego’s constant need for gratification, praise and attention. Our purpose as yogis is to serve, and we cannot do this fully if we are serving our egos before our brothers and sisters, if we are more concerned with fulfilling our dreams than our dharmas. Diana Scime-Sayegh is the owner of Happy Heart Yoga Shala where she leads bespoke yoga for vibrant living, creating custom private practices to help release people of the blocks that keep them from living their most effervescent, joyful lives. She received her 500-Hr from Sri Dharma Mittra and regularly practices with him. She is humbled and grateful to have the opportunity to teach yoga and is committed to serving, sharing her spiritual knowledge and transforming lives through yoga the same way she transformed her own. The rest of the story is simple: Life of a Yogi 200-hour teacher training in 2010, several workshops with Andrei Ram — a senior disciple of Sri Dharma’s and a mentor in the teacher training — and finally the 500-hour training in 2014. 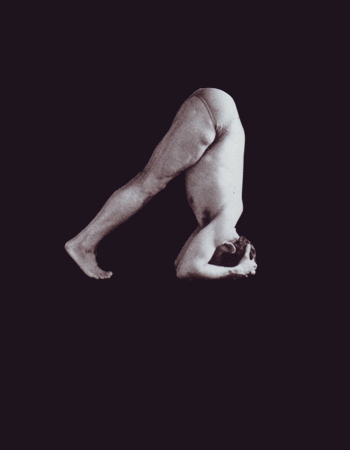 I practiced asanas because I felt good afterwards, emotionally. I was weak, stiff, shy, and far from adequate. Yoga somehow made me feel better with my physical self. I wanted to learn yoga beyond the asanas. I did not search for other teachers because I just knew right things would come. Then, Andrei appeared. 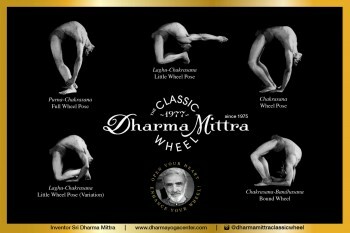 Then, Sri Dharma Mittra. “Yoga without yama is like spaghetti without sauce,” Sri Dharma says. 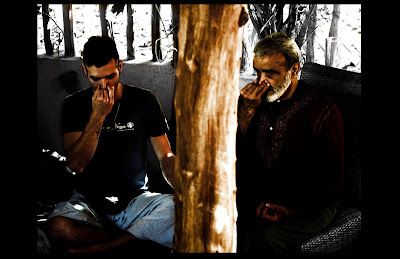 Although he puts emphasis on yamas and niyamas, Sri Dharma never let the asanas fall by the wayside. Everyone who’s heard of Sri Dharma thinks about the breath-taking poses. 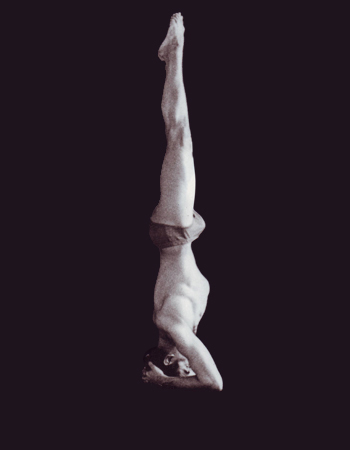 Why would a teacher with such a strong asana practice teach students to focus on yamas (moral codes) instead of asana? This is quite unconventional compared to teachers out there nowadays. I kept Sri Dharma’s words in my heart and started to be more serious about my asana practice. I practiced constantly and I saw some changes: The stronger asana practice I had, the stronger will power I attained; the more asana practice, the subtler perception, the more equanimity. I built a better relationship with my physical being and I felt more of the benefits that yoga has to offer on my mental and even spiritual planes. I could not quite connect with that idea initially. I started teaching yoga in 2009. 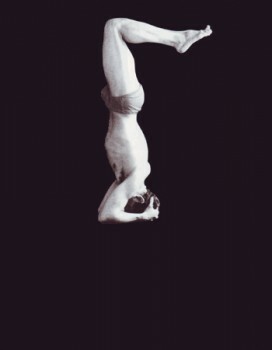 I was mediocre in asana practice and I was teaching in a studio where I usually practiced. It was quite embarrassing for me going to the same classroom, facing more than 40 students – who were also my classmates. The peer pressure thing, the shy attitude, was indeed the work of ego. Without expectation, I am blessed to be able to learn and to be able to share what I learned. A physiotherapist based in Hong Kong, Ivy learned yoga as a remedy for lost souls in a hectic city. She is blessed to quickly find her lineage in yoga despite living on another side of the world from her beloved guru, Sri Dharma Mittra. 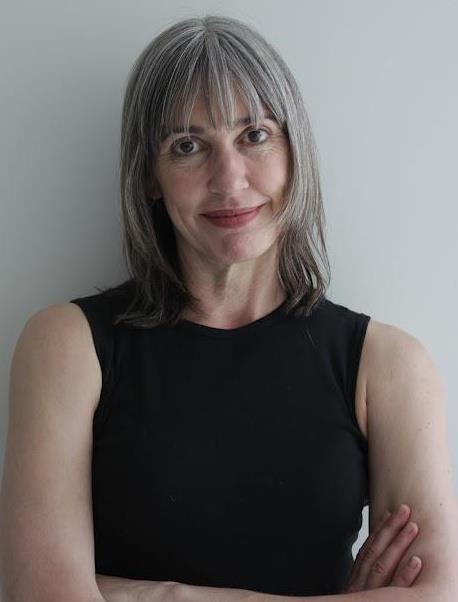 Constantly a student on all sorts of therapeutic modalities (visceral manipulation, craniosacral therapy), she finds the ultimate medicine for all sorts of ailments is “self-realization.” Ivy is always ready to spread whatever she learned to her students and patients. Are You a REAL Yoga Teacher? As part of the 2012 Arts Festival Day at an elementary school in Alexandria, Virginia, my friend & fellow Dharma Yoga teacher, Brittanie DeChino, and I volunteered to do a few yoga demonstrations to third-, fourth-, and fifth-graders. We taught them sound breathing (a breathing technique we learned from Sri Dharma Mittra), sun salutations, balancing poses, partner yogaand a few other fun things. It was a nice change from my daily office yoga gigs. At the end of each 20-minute presentation, we opened it up for a few questions from the kids. In the last group, which was about 75 fifth-graders, one girl asked: “Are you real yoga teachers?” Of course, we said with a smile. “We are real yoga teachers.” Though now I’m thinking, what is a realyoga teacher? 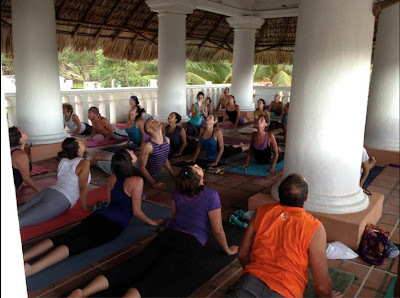 From an educational standpoint in the United States, the Yoga Alliance defines the educational requirements to be considered a Registered Yoga Teacher (RYT) with their organization. Is being an RYT enough to be considered a real yoga teacher? I say no. In fact, you can become a RYT and not ever teach an actual yoga class. Or you can become a RYT and teach yoga classes every day – though I don’t think whether you teach yoga classes or not makes you a real yoga teacher either. To me what makes a real yoga teacher is someone who shows up in life doing their best in every moment. Someone who shows up in life for other people – helping others, giving to others, and not expecting anything in return (AKA Karma Yoga). Someone who inspires others naturally through their actions. To me a real yoga teacher honors the universal vows of yama (sutra 2.30) and niyama (sutra 2.32). And if a “teacher” only follows the first yama of ahimsa (nonviolence in thought, word and action), to me they are a realyoga teacher. A real yoga teacher takes time to pause daily –whether it’s to move (asana), meditate, or just simply open a yoga text, like The Yoga Sutrasor The Bhagavad Gita, and reflect. A real yoga teacher is a truth seeker – someone who is following their heart and sharing from the heart. As Sri Dharma always says, the goal of yoga is self-realization. So how is yoga related to art (a question posed by one bright fourth-grader later that day)? Brittanie explained to her that practicing yoga calms you, which creates space within you, opening you up to endless amounts of creativity. And as I type this, I realize that teaching yoga is an art, just as living yoga is an artistic journey. Both take constant practice, dedication and an open heart to whatever and whoever shows up in the moment. Isn’t this all art? Passionate about sharing the power of yoga & its transformational benefits, Melody Abella founded a mobile yoga business (abellaYoga) in 2006. abellaYoga travels to corporate and private clients in Washington, D.C., Alexandria and Arlington, VA to teach yoga in homes, offices, hotels, and conference centers. Grateful for experiences gained in the telecom/tech corporate world, this ex-marketing yoga-chick is happy to share all she knows about yoga. Believing through discipline and devotion we have the power within to make positive changes in our bodies, lives and this world, Melody teaches her students “anything is possible”. Or as Sri Dharma Mittra says you must have “angry determination.” Melody received her 500-hour Dharma Yoga Teacher certification in May 2012. She continues to hop the train from DC to NYC monthly to practice with Sri Dharma Mittra at the Dharma Yoga New York Center. Chikako teachesDharma II on Tuesday & Thursday mornings, 10:30 – 11:45 AM. CM: Practice yoga off the mat. I believe yoga is a living science and it comes fully alive when we integrate the teachings into our everyday life. 3. What are three things that are always in your fridge? CM: My photographer friend said my fridge is a farmer’s market; she was amused and took pictures. 4. What is your favorite vegetarian restaurant in the area? CM: It was Kajitsu until recently, but now I have to find my new favorite. 5. What is one practice you must do every single day? CM: Connect and give gratitude to our divine mother, Gaia. We are all stewards of the Earth. Chikako met Sri Dharma Mittra in 2007, and according to her, he inspired her commitment to the overall practice and lifestyle of yoga. She never really thought she would teach, being quite shy typically, but for her the process has unfolded quite naturally. 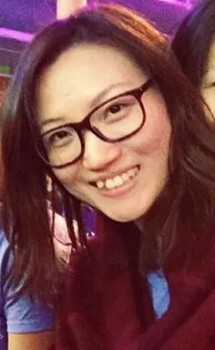 As a student in her class, one would never guess that she ever had any hesitations about teaching. 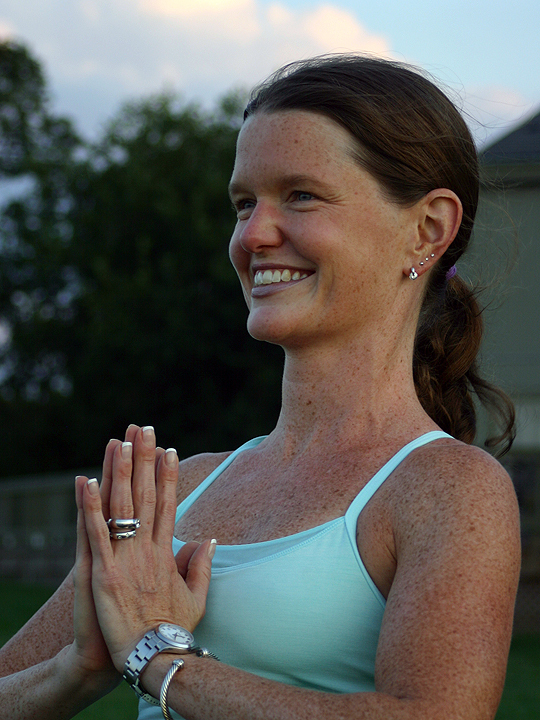 She is greatly inspired by healing, as well as the transformations she has witnessed in students – especially those who begin to incorporate meditation, pranayama, and Yoga Nidra into their lives consistently. While the goal of yoga may be Self-Realization, she also recognizes that the path helps us examine our tendencies and unfold our individual dharma (meaning our highest purpose, or most authentic life path). For Chikako, the practices of yoga are like a roadmap that helps us find our true selves. In her words, they are “like the most high-tech GPS you can imagine – like a celestial GPS; instead of going through the satellite, it goes right to the source”. This is the main thing she hopes to give her students – a deeper sense of connection to their Supreme Self. I recently re-read the Bhagavad Gita. It is the fourth re-read in 15 years but this time with a different translation. This go around, I found myself reeling from the depth of wisdom, scope of matter, and sheer force of the book. My conclusion is that with every new read, further insight will be presented to the reader and one will come to understand the text more and more. The Bhagavad Gitais one of mankind’s greatest philosophical achievements. And although we are in a different era than it was written, the message and lessons continue to be relevant in this day and age. 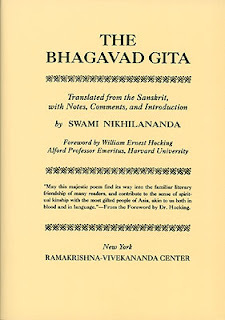 I wondered while reading it, “does human nature really evolve?” Perhaps for those who read with an open mind and pure devotional heart and absorb the teachings of the Gita and other sacred Hindu texts such as the Yoga Sutras, the Vedas and Upanishads. The Gitain particular takes the reader deep into his/her very humanness and provides tools for ethical living and eventual evolution. Just as we, as thoughtful human beings, confront our dilemmas and choices, Arjuna hesitated and questioned his role before launching into a battle that led to devastation and destruction. With Krishna’s guidance Arjuna comes to terms with his own nature and most importantly his dharma, or individual responsibility. Arjuna, as a member of the Kshatriya or warrior caste, and as an instrument of the divine, must follow the law of his inner being which has been determined by the actions of all past lives. The 18 chapters of the Gita, placed in the middle of the much longer epic, Mahabharata, introduce the reader to the main tenets of yoga in action: what it means to practice yoga on all levels. The yogi attempts to “yoke” his/her individual body, mind and spirit self with the divine or greater Self (Atman), which is part of the Universal Self (Brahman, or Existence-Knowledge-Bliss Absolute). The Gita provides important tools for this purpose! So while we practice asana and pranayama (Hatha yoga) to prepare for Raja yoga, and learn the yoga teachings (Jnana yoga), we are engaging in a form of Karma yoga, all of which are in turn Bhakti yoga, in that the true practitioner is acting in a devotional manner. All yoga can lead to Samadhi (total bliss) resulting from utter concentration and detachment from sense objects. In our daily and mostly unexamined lives we mostly live in darkness, maya, brought about by Prakriti, or base nature. We are unable or unwilling to lift the veil of ignorance (avidya) and recognize the true state of things. There is a right path of action (dharma) which creates equilibrium when discovered and embraced. We are all the product of the actions in past lives and these determine our balance of gunas. Recognizing how the three gunas (rajas, sattva and tamas) combine to influence the way we live is an important step in creating balance. If rajasic, one may be driven by lust and passions that lead to attachment and anger and can poison the chance for liberation and happiness. If tamasic, one may welcome delusion and may be too lazy to work towards ones best interest. Only in a sattvic state can we be truly peaceful and balanced. The three gunas are reflected in the way we think and act, including what we eat and how we speak. To break the cycle of death and rebirth on the wheel of Samsara, our actions (Karma) must be conscious, but not predicated on the results. There is a universe of potent ideas, significance and meaning in the Gita, most of which I am sure I have not even fully grasped! For example, in Chapter 11 when Krishna reveals to Arjuna his true form through temporary divine sight, I too am overwhelmed by what I begin to see in the Gita. Unlike Arjuna, I am not terrified. 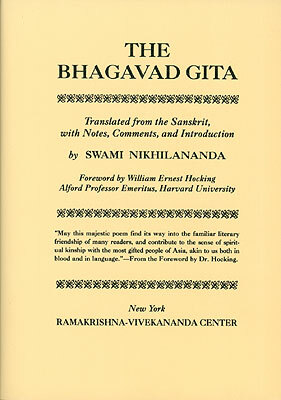 The Gita is a tremendous guide for a peaceful, healthy and liberated life and most certainly a life-long study. Arin Farrington will graduate from the Dharma Yoga Life of a Yogi 200-hour teaching training in May and hopes to continue with the LOAY 500-hour training this fall. 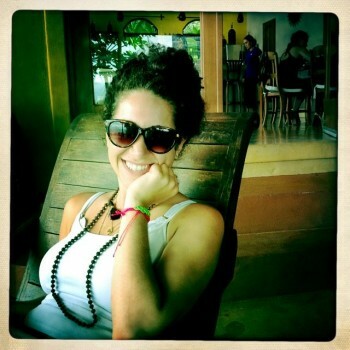 She currently lives in Mexico City, where she is a university professor and freelance writer. Fifteen years ago, a doctor advised yoga for back pain (from poor alignment), and she never looked back—or suffered back pain again. Over the years, she has practiced varied styles and studied with different teachers, all of which have led to Sri Dharma Mittra. We’re starting a new blog series to catch up with countrywide and global Dharma Yoga teachers. 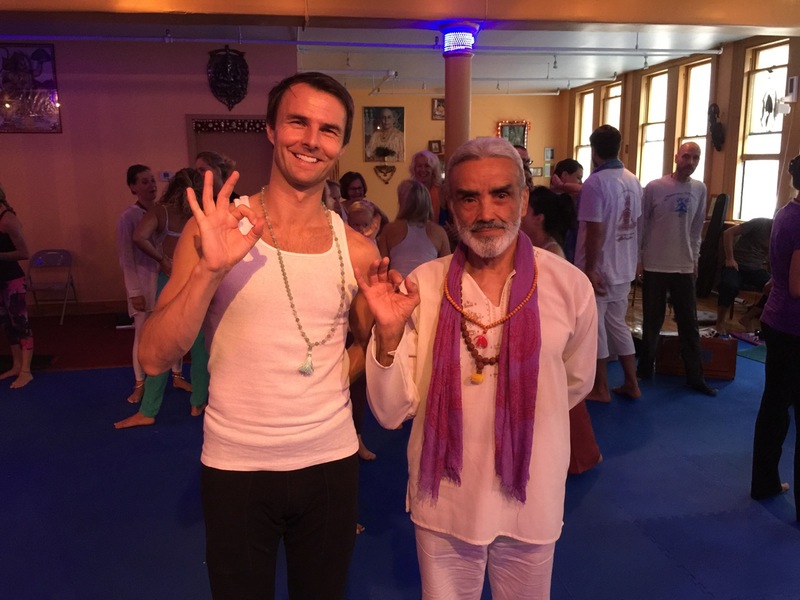 Find out what they’re up to – teaching in exotic locations, inspiring students all over the globe, and living the teachings of Sri Dharma Mittra every day! GF: The Bhagavad Gita (Swami Nikhilananda), Yoga Sutras of Patanjali (Swami Satchidananda – I love him!) and Self Knowledge by Swami Nikhilananda. What is the one practice you do every day? GF: Pranayama and meditation, at least 5 times a week. Which teacher trainings have you completed? GF: The Dharma Yoga Life of a Yogi 200- and 500-hour trainings. What would you say about the people who you met during your trainings? How have they inspired you? 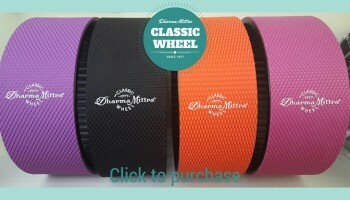 GF: There are so many amazing people are under Sri Dharma Mittra’s umbrella. We all inspire one another, support one another and shared an amazing experience during our training. Why are these projects a priority? GF: I am following my dharma by practicing and sharing the teachings of Yoga. It is my commitment for this lifetime. How has your experience in the Dharma Yoga LOAY teacher training program affected your life outside of training? GF: Finding Sri Dharma Mittra (or Sri Dharma having found me…) shifted my life completely. The LOAY teacher training program is an immersion to Self Realization. It’s hard to explain in words, but it’s hard to keep living the way you used to after the training. Any final thoughts to share with us? GF: Since I first started studying with Sri Dharma Mittra, I teach every day. It doesn’t matter how many students attend class. Students from Mexico have been inspired and many have gone to New York to take the LOAY Teacher Training themselves. Yoga is not so popular in Brazil but I feel students spontaneously start going beyond the physical practice even if they came to class only for a physical yoga practice. They end up going beyond or feeling the curiosity of getting to experience more than the physical. Gerson will be one of the DYLOAY mentors for the upcoming June 2013 200-Hour Teacher Training Program in New York City. To learn more about Gerson, visit his website: www.yogifrau.com. Nicole Sopko (Gopi Om)is a Dharma Yoga teacher living in Chicago, IL where she teachesDharma Yoga and operates a nationwide vegan natural food company alongside her (life) partner. She takes great care to be always aware of the ways in which these two responsibilities intersect and spends her time promoting compassion in all forms. She is a dedicated and loving student of Sri Dharma’s and visits New York as frequently as possible to absorb the benefits of his holy teachings in person.